You may choose to have a generator that uses natural gas as it will cost you less money and effort in the long run, not having to purchase gasoline. Natural gas is also better for the environment. 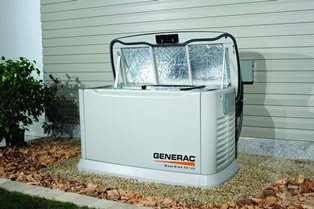 If you happen to experience frequent power outages it is highly recommended to get a generator, but you should decide which type you prefer. For example, you may prefer a portable where you can take it to outside events along with using it at home, or you may choose a standby generator that can be mounted outside the home in your basement, like these. 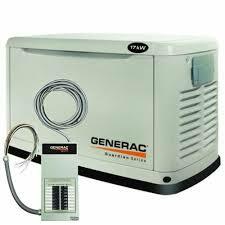 This Generac Guardian Series 5873 Air Cooled Liquid Propane/Natural Gas Powered Standby Generator comes with a transfer switch. It is carb compliant and is sold in all 50 states. It has hands free operation with no fueling, no manual starting, and no need for extension cords. It runs on 17,000 rated watts and it is weather protected with a corrosion resistant steel enclosure. It has a 992ccGenerac OHV engine for added power. It runs a quiet test at a low speed exercise mode to continue running successfully at a low noise level. This generator arrives as pre-wired and is equipped with the necessary installation gear with such things as an outdoor connection box and a mounting pad. It has a 16 circuit load center along with one foot flexible fuel line pigtail. It costs about $3,300 online and is a reliable, capable power generation unit, making this one of the best natural gas powered generators for the home. 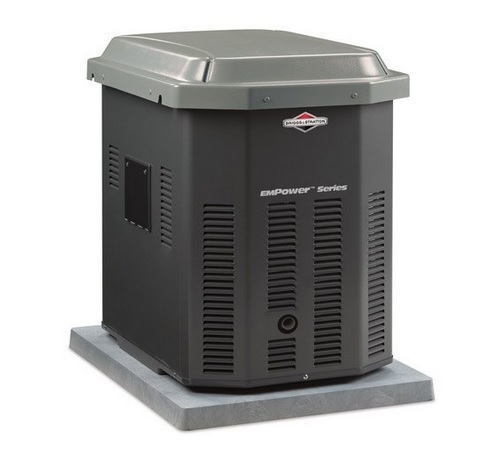 This Briggs and Stratton Empower Natural Gas/Liquid Propane Powered 40301 Air Cooled Home Standby Generator is carb compliant and is sold in all 50 states. It costs about $1,600 online and it received 4 stars from Amazon reviewers. It has a 504cc Briggs and Stratton engine. It runs on 7,000 watts and it comes with a four year warranty. There is no gas needed and it has an automotive style exhaust system. With its acoustic foam dampeners it makes the generator 50 percent quieter than other generators without the foam. It has a contemporary style that saves space. This item is considered one of the better choices when looking for natural gas powered generators for the home. 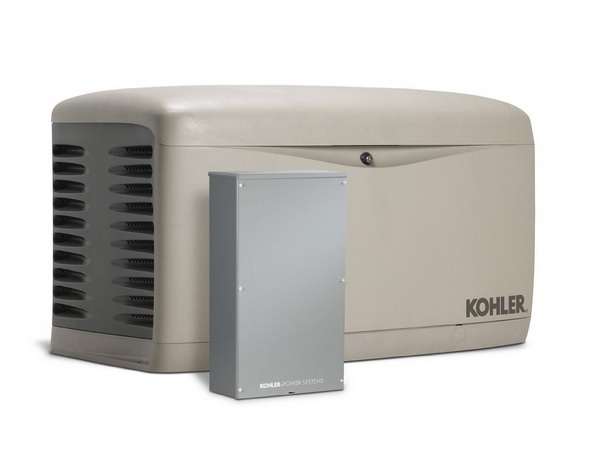 This Kohler 14RESAL 200 Air Cooled Standby Generator comes with a 200amp whole house automatic transfer switch. It received 5 stars from Amazon reviewers, making this a top choice of natural gas powered generators for the home and it costs about $3,400 online. It comes with a five year warranty along with 2000 hours of limited warranty on the 2.5amp battery. There is a push button on and off for easy starting and an electronic speed control. This generator can start up within 10 seconds of losing power in your home. It has a quiet operation and 100 percent corrosion proof enclosure with a hinged locking roof. Its frequency is 60Hz. It has a two line back lit LCD display that is easy to read in low lighting and in direct sunlight. It is carb compliant and is sold in all 50 states. It has a polymer base that helps eliminate the need for a concrete mounting pad that would only increase the time and money it would take to install the generator. 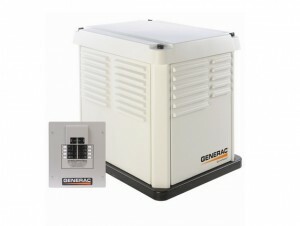 This Generac Core Power Series 5837 Air Cooled Natural Gas/Liquid Propane Powered Standby Generator comes with a 50amp transfer switch and Generac OHV engine. It has an automatic voltage regulator and a mounting pad. It runs 10dba quieter than other generators. It costs about $1,800 online and it received 4.5 stars from Amazon reviewers, making this one of the top choices of natural gas powered generators for the home. It is carb compliant and is sold in all 50 states. It runs on 7,000 watts and it comes with an eight circuit loading center that includes breakers. It has an evolving field alternating design and you can remove the sides to the enclosure of the generator without using tools. 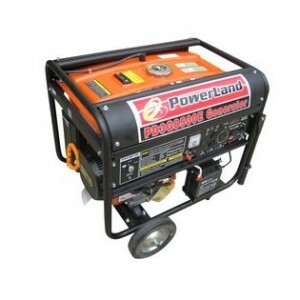 This Powerland PD3G10000E Tri Fuel Gas/Propane/Natural Gas Powered Portable Generator has an electrical starting system for an easy start up. It received 3.5 stars from Amazon reviewers and it costs about $1000 online. It has the ability to use three different types of fuel. Whichever you may choose you can easily select, making this a top choice if you are looking for a generator that is flexible. It has a heavy duty steel frame that protects not only the engine but the machine itself. It has a quiet operation and it weighs about 240 pounds. Its engine saves on fuel with its 16hp OHV engine. The machine has a low oil shut down that will also help protect the life of the engine.It runs on 8,000 watts rated and 10,000 watts surge. All of these generators are natural gas powered generators for the home. They offer multiple features and capabilities that make these generators worth having. Some are standby while others are portable. Determine which one best fits your needs to decide on which one you prefer to have.